Grain elevators in Eastend, SK, March 2018. Copyright by Michael Truman. 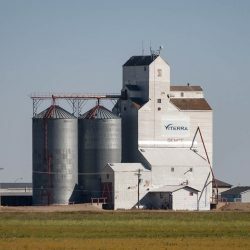 There are two grain elevators in Eastend, Saskatchewan. 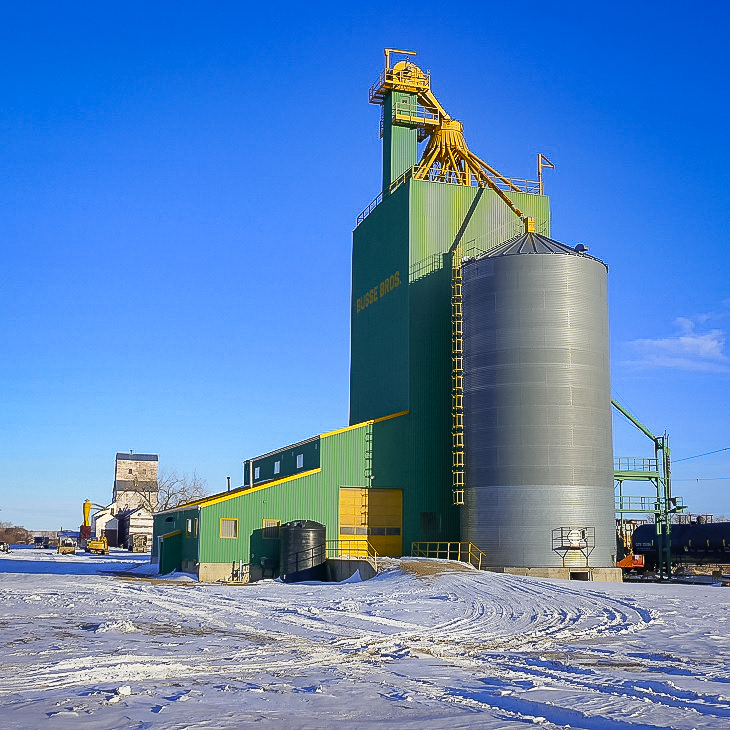 The green elevator, labelled “Busse Bros.”, is a former Pioneer steel grain elevator, built in 1986. 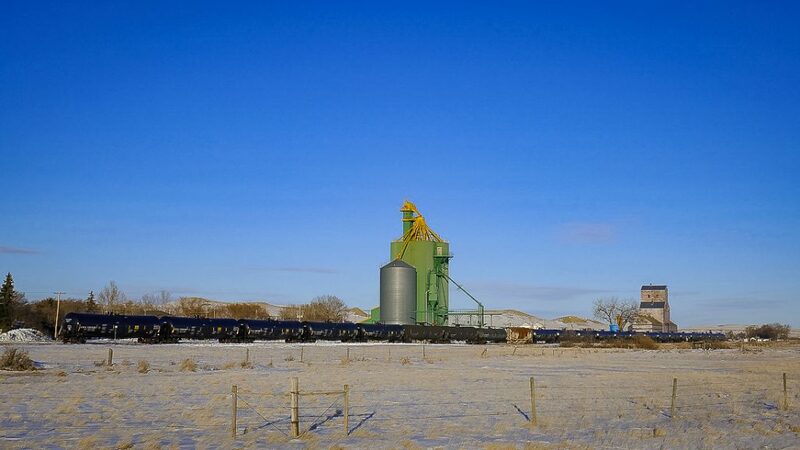 Busse Brother grain elevator in Eastend, SK, March 2018. Copyright by Michael Truman. 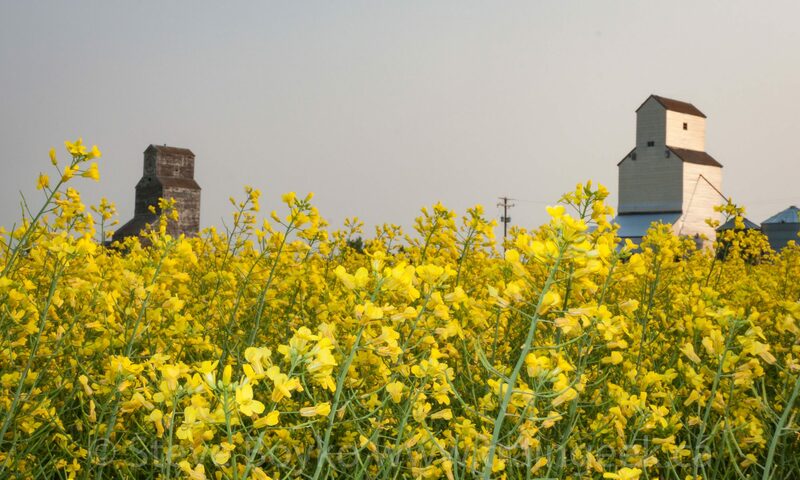 The other grain elevator is an older, ex Saskatchewan Wheat Pool grain elevator built in 1958. It has two low annexes for additional storage. 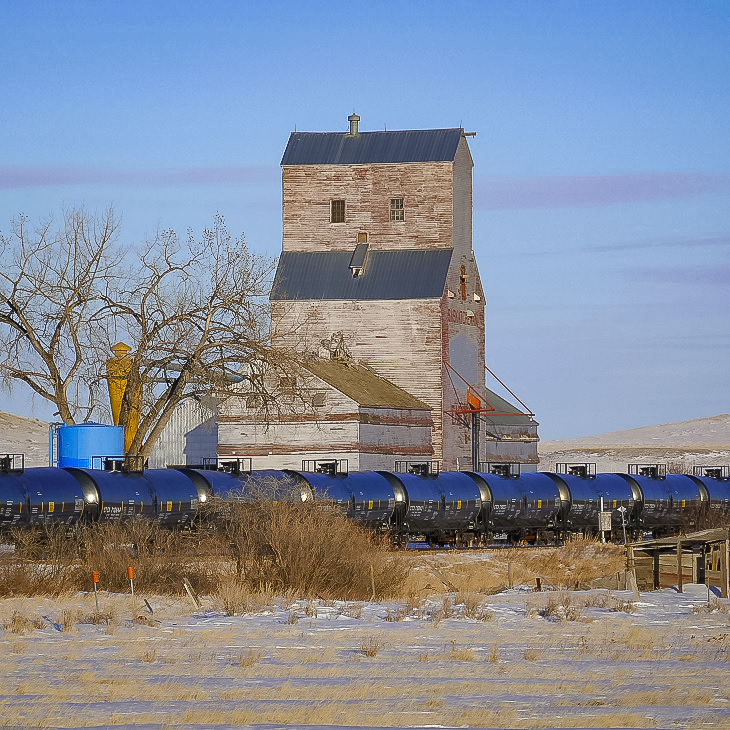 Grain elevator in Eastend, SK, March 2018. Copyright by Michael Truman. These elevators are served by the Great Western Railway.